And so we made one more trip to St. Germain des Pres and dined at Semilla, the embodiment of modern French cuisine. While it was the perfect last night meal, I wished we’d found it sooner. Every dish was worth trying, and none of them made me feel like a duck being fattened for foie gras. Much of the menu is small plates, and quite a few are vegetarian (definitely NOT traditional French). 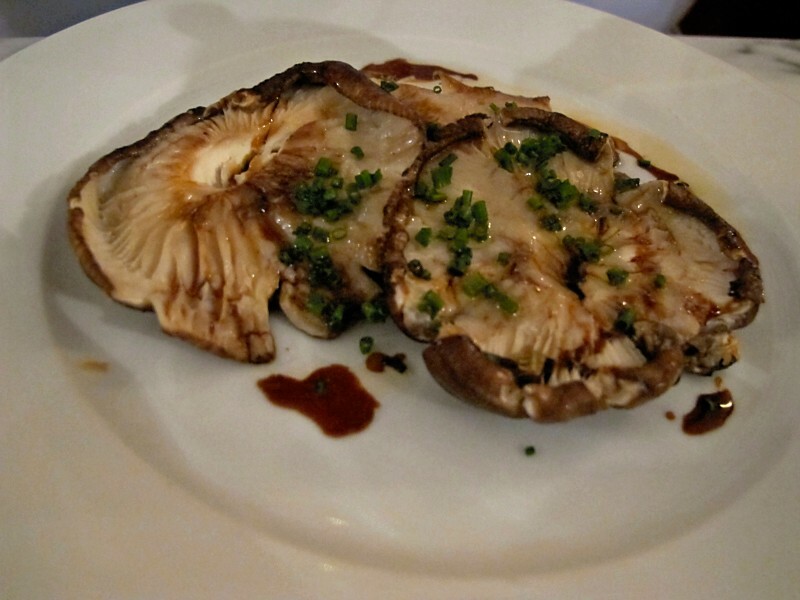 The roasted mushrooms were earthy and salty, not the standard limp Portobello you can see as a veggie option in the states. The pork ribs with sweet potatoes were exceptional. 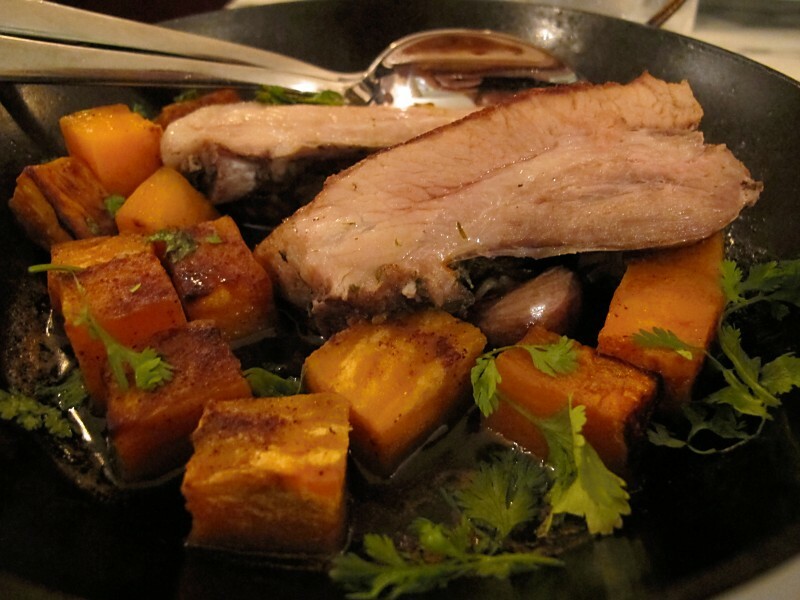 The ribs were cut to order, roasted, and served in a cast iron skillet with simple sweet potatoes and parsley. No heavy sauces, no frying, nothing was topped with an egg or showered with bacon. 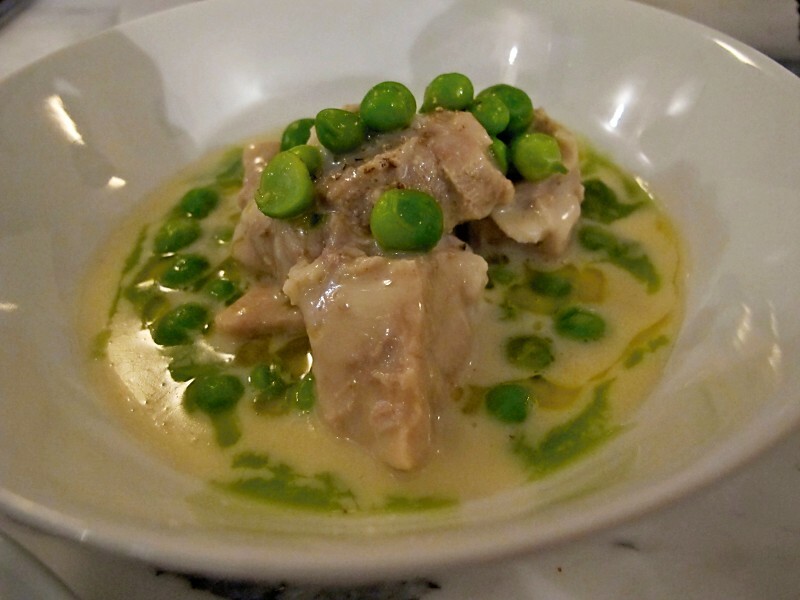 I was surprised but excited to see blanquette de veau on the menu – it was the one French specialty that I really wanted to try, but hadn’t seen on any menus. Semilla’s modern interpretation has a light cream sauce, fresh, firm peas, and fork tender veal. It was one of those bowls of food that you want to pick up and hold against your chest as you eat it, hugging it close and savoring each spoonful, even while mourning its inevitable emptiness. If you can only eat at one restaurant in France, go to Semilla. The food is great (and very affordable), the crowd is lively, and the neighborhood lends itself to a stroll before or after dinner. Go, go, go.